Welcome! Thank you for visiting Heavenly Springs! Today we continue with Part 2 of a series on the life of Susannah Thompson Spurgeon. Yesterday, in Part 1, we covered her early years, courtship, and marriage to Charles Spurgeon. Today we will discuss some of her sacrifices and sufferings. Don’t forget to enter to win a free book — details are at the end of the post! The couple returned from their honeymoon to their first home, a modest house on New Kent Road. Susie lost no time throwing herself into her husband’s work “with a zeal not less than his own.” Within a year of being married, on September 20th, 1856, Susie gave birth to two beautiful baby boys; fraternal twins, Charles and Thomas. The delivery was a hard one – one she never fully recovered from. Nonetheless, as a devoted mother, she faithfully taught (and lived) the doctrines of the faith so effectively that both boys made early professions of the faith. Years later, they would point to their mother’s influence. Thomas writes, “I trace my early conversion directly to her earnest pleading and bright example. She denied herself the pleasure of attending Sunday evening services that she might minister the Word of Life to her household: There she taught me to sing, but to mean it first … My dear brother was brought to Christ through the pointed word of a missionary; but he, too, gladly owns that mother’s influence and teaching had their part in the matter. By these, the soil was made ready for a later sowing.” How telling it is that the boys credited their mother for their spiritual condition. One would expect that the children of a great preacher like Charles Spurgeon would point to their father. But they recognized their mother. Let this be an inspiration to Christian mothers everywhere who labor, toil, and sacrifice to raise their children in the Lord. Despite the afflictive dispensation to which she was subjected for so many years, she learned to trust the Sovereignty and goodness of God. Her posture, in all her sufferings, was one of uncomplaining submission. Having been schooled in her husband’s school of faith, she understood trials and sufferings were not designed to destroy but to refine and purify. To that end, she could say, “Father, if you are willing, remove this cup from me. Nevertheless, not my will, but yours, be done” (Luke 22:42). The darkness of that period was exacerbated by the malicious cruelty of the press. A torrent of slander, the likes of which they had never seen, was unleashed against them. Charles almost entirely lost his spiritual bearings, and a powerless Susannah could do nothing but watch. She writes, “My heart alternately sorrowed over him and flamed with indignation against his detractors.” Finally she received strength through the words of Matthew 5:11-12. The words nearly jumped off the page, coming alive and equipping her to fight the battle raging against her husband’s soul. She printed the text in large Old English type, put it in a pretty Oxford frame, and hung it in their room. She made sure that Charles heard those words each day he left the house. Charles did eventually emerge from his depression — though some argue, he never fully recovered. But by God’s grace he persevered and continued His work for the Lord. For that we have, in large part, his wife to thank. Given the high place Charles assigns to his wife, how little, comparatively speaking, we think of and honor her. Each time we enjoy, even a small benefit from his labors, we do well to remember that we reap with joy, what she sowed in tears. This concludes Part 2 of our 3-Part Series. Please join us tomorrow for Part 3. As a reminder, at the end of the series, I will be giving away two copies of Susannah Spurgeon: Free Grace and Dying Love (Morning Devotions with the Life of Susannah Spurgeon). If you are interested in participating, please leave a comment. You may increase your chances by sharing on Facebook, Twitter, or other social media. Just let me know what you have done, and I will add your name once for each share. The Giveaway will close on Friday, September 5th at 9pm EST. Winners will be notified via email. Charles Ray, Mrs. C. H. Spurgeon (London: Passmore & Alabaster, 1903), 34. Ray, Mrs. C. H. Spurgeon, 65. 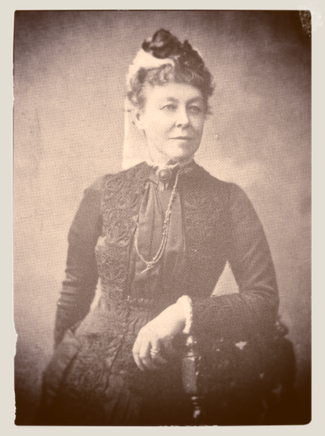 Ray, Mrs. C. H. Spurgeon, 47–48. Ray, Mrs. C. H. Spurgeon, 51. Ray, Mrs. C. H. Spurgeon, 48. Christian History Magazine-Issue 29: Charles Spurgeon: England’s “Prince of Preachers” (Carol Stream, IL: Christianity Today, 1991). Ray, Mrs. C. H. Spurgeon, 42. Ray, Mrs. C. H. Spurgeon, 42–43. Ray, Mrs. C. H. Spurgeon, 45. Ray, Mrs. C. H. Spurgeon, 55. What a blessing to be reminded that as wives, we were created as a helpmate for our husbands, and that even the children acknowledge and are drawn to our Savior thru prayer and encouragement in the ways of The Lord. As a weeping and praying mother, I was greatly encouraged to persevere in my intercession for my sons after reading your article on Monica of Hippo. And today, I was so blessed to read that it was Susannah Spurgeon’s godly influence that led her sons to faith in Christ. Looking forward to your next article and thanking Pastor Jon Cardwell for leading me to your blog. God bless you. I’m so enjoying this series Christina! What an encouragement Susannah Spurgeon ‘s example continues to be us all these years later. Thank you so much for all the hard work that goes into writing these pieces. Brilliantly stated, dear sister– it is so very good to have your blog before us once again. 1. “How telling it is that the boys credited their mother for their spiritual condition. One would expect that the children of a great preacher like Charles Spurgeon would point to their father. But they recognized their mother. Let this be an inspiration to Christian mothers everywhere who labor, toil, and sacrifice to raise their children in the Lord.” This must speak volumes to the reader, of encouragement for the woman and humility (with encouragement!) for the man, to know that God works all things together for His glory and our good, not the other way around. 2. “‘These separations,’ she says, ‘were very painful to hearts so tenderly united as were ours, but we each bore our share of the sorrow as heroically as we could and softened it as far as possible by constant correspondence. '” We should be reminded hereby how great was their sacrifice in a day without electronic media or even wire (phone) service. Technological conveniences are spiritually neutral, but our attitudes concerning our “rights” to their benefit must always be trained to gratitude toward Him who is sovereign Lord over all His creation. We will have little appreciation of that which costs us nothing, for without cost there is no sacrifice. 3. “Having been schooled in her husband’s school of faith, she understood trials and sufferings were not designed to destroy but to refine and purify. To that end, she could say, “‘Father, if you are willing, remove this cup from me. Nevertheless, not my will, but yours, be done'” (Luke 22:42). This is, of course, a lesson the disciple of Christ Jesus and child of our Father in heaven must ultimately learn. 4. “Given the high place Charles assigns to his wife, how little, comparatively speaking, we think of and honor her. Each time we enjoy, even a small benefit from his labors, we do well to remember that we reap with joy, what she sowed in tears.” So let us take heart to know that our own sufferings are among those “all things” that God is working to the good of His whole church and, thus, its every members– which sufferings, based on His very promises, can never be in vain but will accomplish all He has ordained them to do. Stopping before my comments exceed your gracious post in length, thank you again for being God’s obedient vessel in bringing us these truths for the glory of His name, the increase of his kingdom, and the perfection of His will. What a sure and steadfast focus on her saviour in the midst of her struggles. What a wonderful example to follow. All for Christ always. This was a dear encouragement to me. Thank you.